Illustrated by Elys Dolan and written by Cornelia Funke. Highly illustrated young fiction published by Barrington Stoke 2015. Zaleb is fascinated by the solar system and when she gets her very own spaceship for her birthday, she decides to go on an adventure! 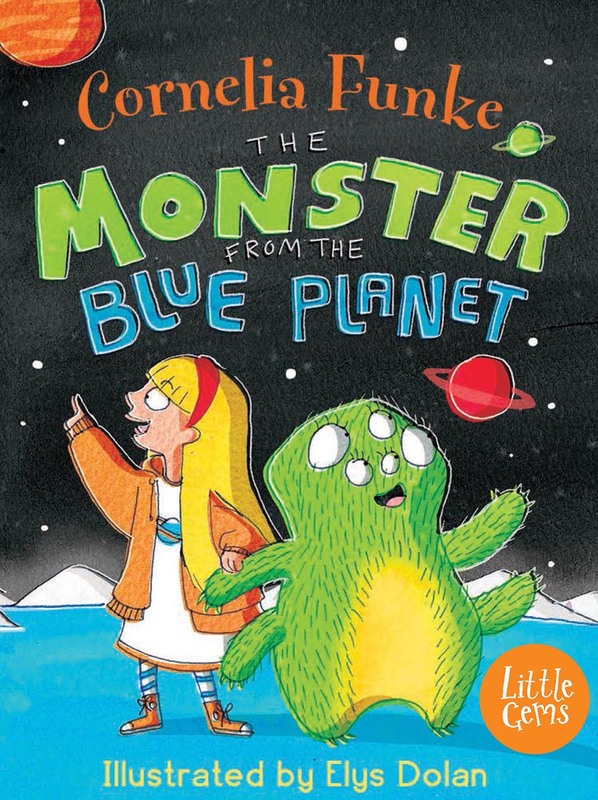 She's always loved the tales about the little blue planet called Earth and the monsters that live there, so she decides to catch one to be her pet. But Izzy isn't about to be anybody's pet! Can the two become friends?